Military Medical Academy has been elected one of the European accredited centers to organize and hold the written part (Part I) of the EDAIC (European Diploma in Anaesthesiology and Intensive Care) examination. Anesthesiologist Dr. Vojislava Neskovic from the MMA Clinic for Anesthesiology and Critical Care has been promoted the official examiner from Serbia for the EDAIC exam oral part. The Part I examination is held annually in late September or early October simultaneously in several centers listed by exam organizer. In 2014, by previously scheduled date, the exam will be held at the Military Medical Academy for all European candidates who register in Serbia for examination. 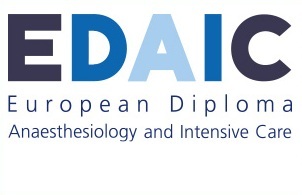 EDAIC is endorsed by the European Board of Anaesthesiology (EBA) and European Union of Medical Specialists (UEMS). It is a multilingual, end-of-training, two-part examination covering the relevant basic sciences and clinical subjects appropriate for a specialist anesthesiologist. The EDAIC consists of two mandatory components (Part I-written) and (Part II-oral) with the third component, the In-Training Assessment (ITA), being optional and scheduled on demand. The existence of a supra-national examination in anesthesiology and critical care provides an incentive for the development of training programs world-wide. The aim of the examination is to achieve a uniformly high standard of knowledge by anesthesiologists throughout Europe. The examination within the MMA premises will be provided in English while the Serbian language may be added in the future exam organization. By promoting the idea of European Diploma in Anaesthesiology and Intensive Care, Military Medical Academy is willing to raise the standards in the field of anesthesiology education on the territory of Serbia as well as to promote our doctors in European scientific community.